The bombshell news that the Google search for “fool proof suffocation” did not come into the Casey Anthony murder trial in the death of her daughter Caylee Anthony is a travesty. Really folks, a “fool proof suffocation” computer search n the day that Caylee Anthony was last ever seen and no one thought that this might not be important? Was it missed by investigators or just left out of the prosecution Even the “Ship of Fools” Casey Anthony murder trail jury was certain to convict had such evidence been presented to them, I think. George Anthony’s attorney Mark Lippman claims that this evidence clearly vindicates his client of any involvement in the death of his grand daughter Caylee, as Joese Baez and the Casey Anthony Defense team had claimed. Casey Anthony’s former attorney Jose Baez opening statement at her trial alleged that George Anthony had sexually abused Casey, that Caylee had died of drowning in the family pool and that George disposed of the body. George Anthony’s attorney says his client has been vindicated by recent reporting about computer searches on the family computer. Attorney Mark Lippman issued this statement Monday afternoon: “Recently a book was written which made libelous statements and raised baseless speculation about who performed computer searches relating to the term ‘fool-proof suffocation.’ This weekend it was discovered that this particular search term was never brought to the attention of the State Attorney’s Office. Recently a book was written which made libelous statements and raised baseless speculation about who performed computer searches relating to the term “fool-proof suffocation.” This weekend it was discovered that this particular search term was never brought to the attention of the State Attorney’s Office. Further this search was never brought out in the trial and was never discussed or disclosed to the Anthonys. However, while it is clearly more than an oversight, the trial is over and the Anthonys are continuing to move forward with their lives. The only finality that this newest information brings is that once again the evidence clearly vindicates George Anthony from any argument made by any party relating to his involvement with whatever happened to his granddaughter, Caylee Anthony. The Anthonys continue to morn the loss of their granddaughter and ask that their continued privacy be respected. However, former Casey Anthony defense attorney Jose Baez claimed on the Dr. Drew Show that the evidence was not overlooked. Casey Anthony’s former attorney Jose Baez joined HLN’s Dr. Drew Monday night telling him that he mentioned these details in his new book. 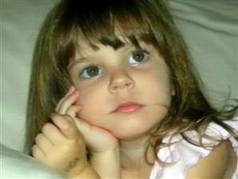 For more updates and discuss the ongoing story of the death and lack of justice for Caylee Anthony, go to Scared Monkeys Forum: Caylee Anthony. Daily Commentary – Tuesday, November 27, 2012 – Was Crucial Evidence Missed in the Casey Anthony Trial? El Jorge is a man made disaster, a nincompoop, a simpleton and a chimpanzee. However, unless you can kill another by stepping on your own *johnson* – he isn’t a murderer. My Italian friends from Jersey gave me this one – I hope it gives you as much joy as it has given me!!! awful stench of death in the car. Steve: I can’t believe this stunod. WTF!!!! Is he mental or something?